Gah! 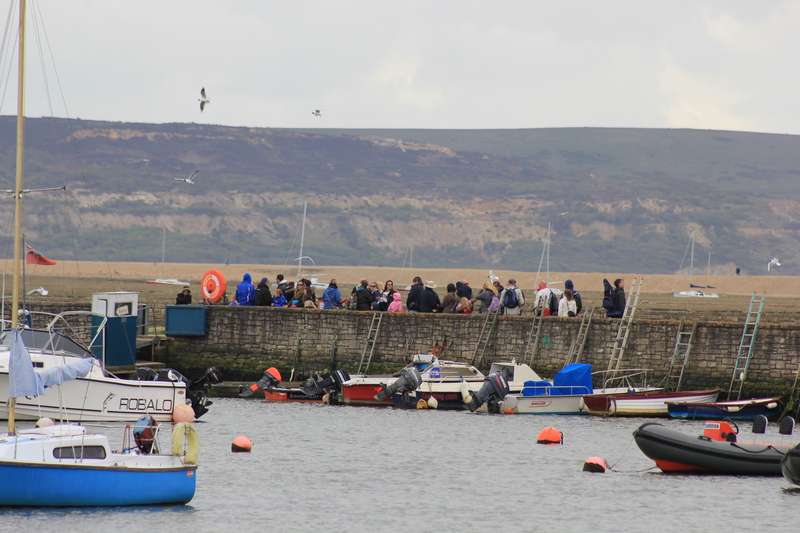 There was a queue for the ferry across to Hurst Castle! Still, as it turned out we all managed to fit on one boat. Hurst Castle is one of Henry VIII’s device forts, constructed in the 1540’s. 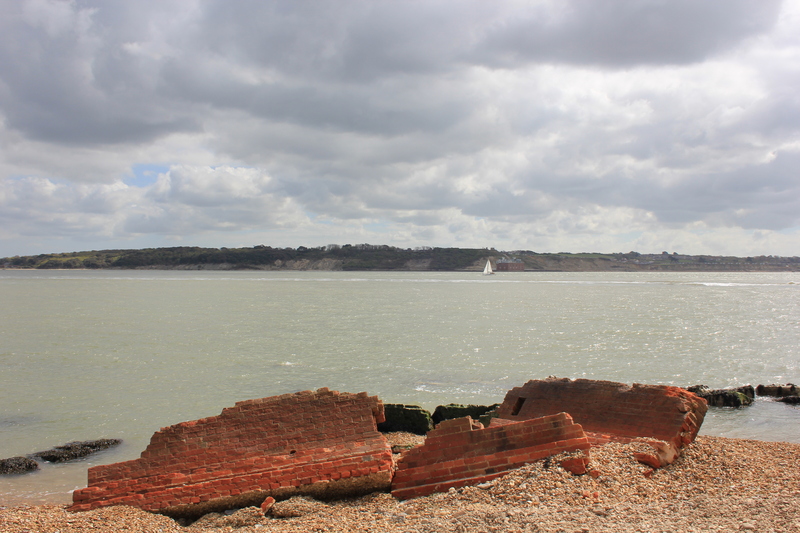 Its aim was to protect the south coast from attack after he divorced Catherine of Aragon and upset the fair folk of France. And Spain. And quite a lot of Europe generally. 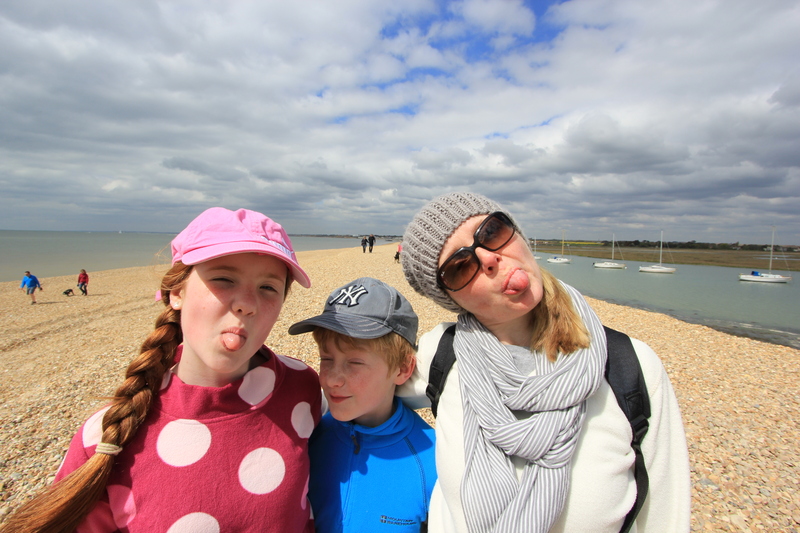 It stands at the end of Hurst Spit which extends about a mile and a half into the sea. Although Hurst Spit was naturally formed, there have been several breaches of the shingle bank in the past. 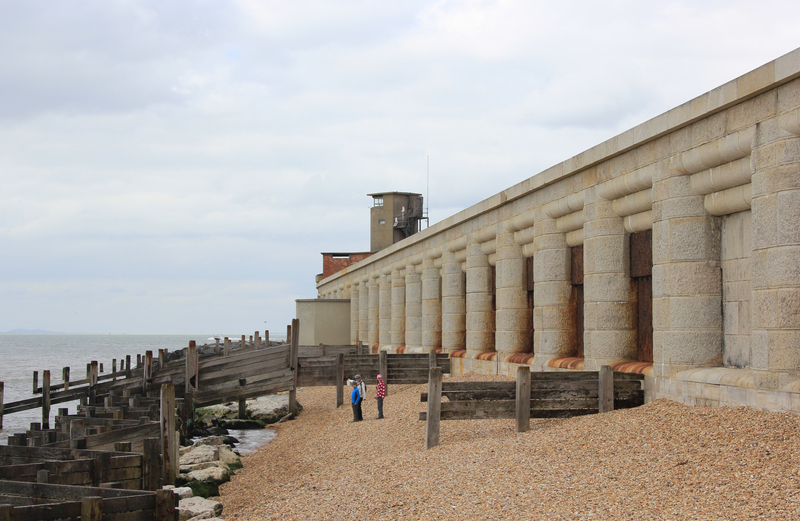 In 1996 major work was undertaken to replenish the shingle and fortify the spit. It is now regularly maintained with shingle recycling operations. Hurst Castle was the final prison of Charles I in 1648. He was kept here until taken to London for his trial and execution. The Hurst Castle of today is much larger than the original fortification, having been extended and further fortified through the centuries. It is quite impressive! 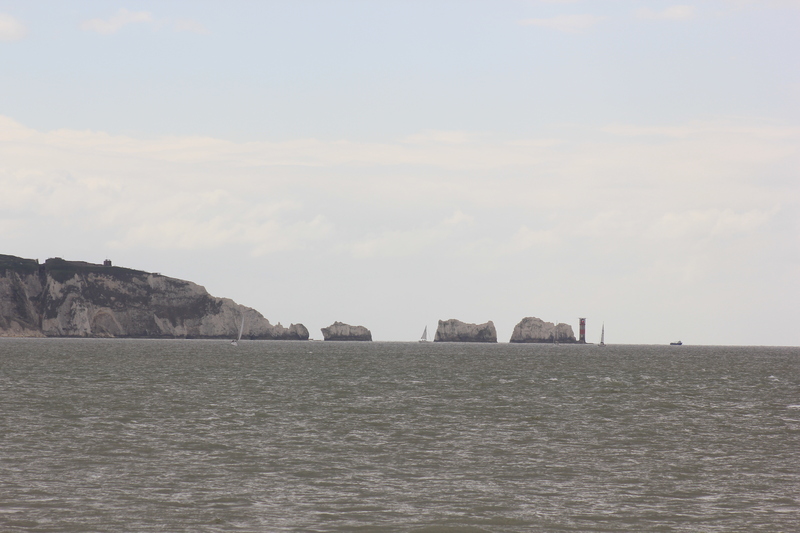 Around its far side we had good views across to the Isle of Wight. Look! There are the Needles! 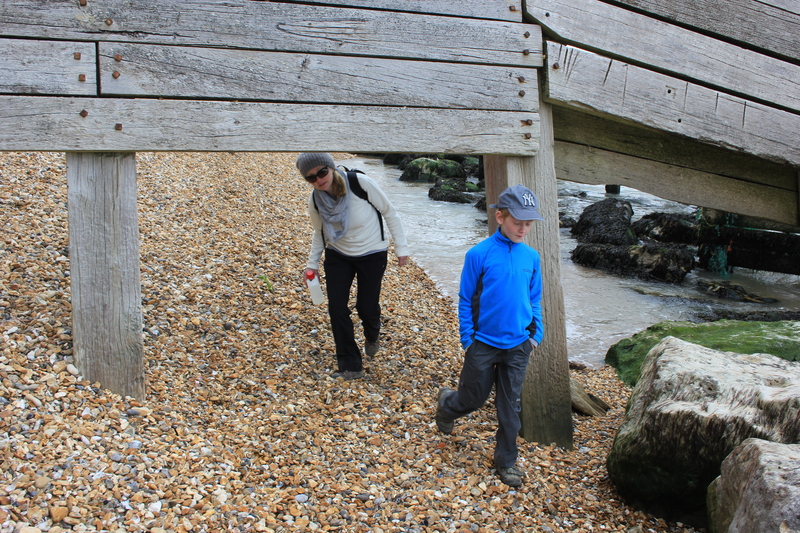 …and over – nobody said getting around the coast of Britain would be such an obstacle course! Eventually we navigated our way around to the spit, and after a moment of abject rudeness we began our way back inland. 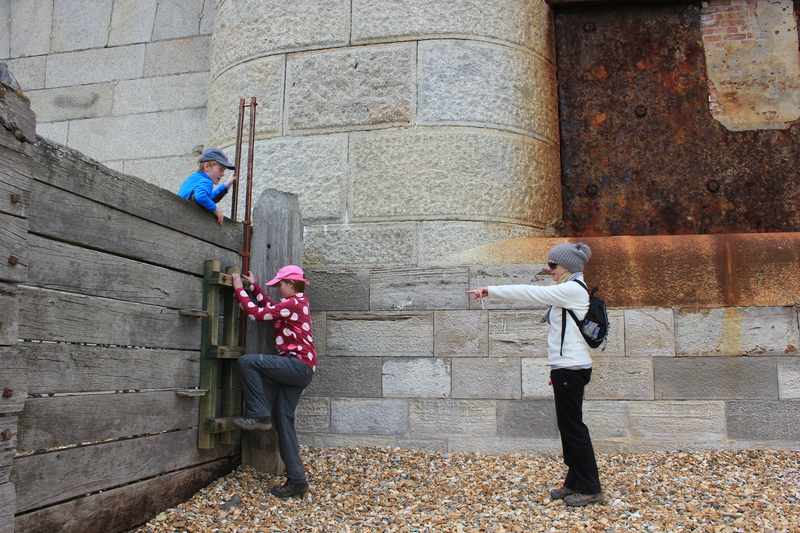 This entry was posted in Hampshire and tagged coast, Hampshire, Hurst Castle, Hurst Spit, Keyhaven, travel, walking. Bookmark the permalink. Thanks Miles – they are growing up very fast. I look at the picture on our “About Us” page which was taken when we first started this and can’t believe how small they look.